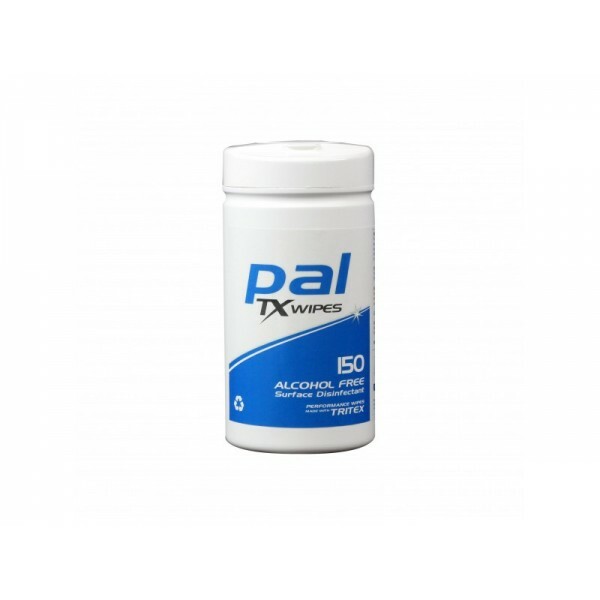 Pal TX 150 Disinfectant wipes are made using Pal TRITEX, our latest innovation in nonwoven technology. It is strong, low linting and fully recyclable. The wipes are impregnated with a high specification dual active disinfectant solution that is completely alcohol free and effective against gram-positive and gram-negative bacteria, viruses, fungi, spores and other micro-organisms, such as Salmonella and E.coli.